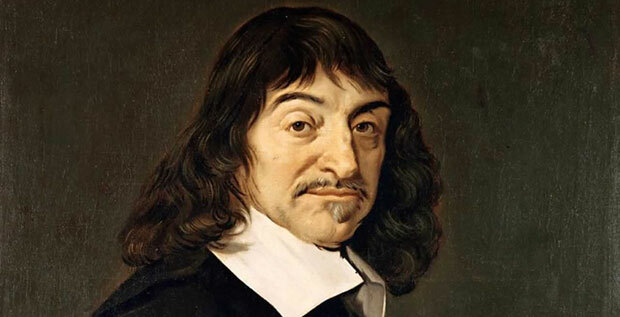 Rene Descartes, French mathematician and philosopher was born in 1596. It was partly because of his contribution that western philosophy and mathematics flourished. In recognition of his contribution, he is often referred as “father or founder father of modern philosophy”. He is also considered as precursor of rationalist school of thought. In mathematics, his contribution lies chiefly in geometry that’s why today he is known as father of analytical geometry. His main achievement was to bridge the gulf between algebra and geometry. Thus he is widely acclaimed as first mathematician who laid the foundation of modern geometry that resulted in development of analysis and calculus. With regard to algebra, he explained in detail that how algebric equations can be expressed and explained through use of geometrical shapes. He also sought to find out the systematic meaning of knowledge by application of mathematical techniques. In this way, he broke from conventional scholastic-Aristotelian philosophy that used to explain haphazardly the interrelationship between ideas. Thus, instead of following the tradition, he replaced this casual explanation of nature of things with more scientific method. He intended to reach at mechanistic rationalization of beliefs by providing a more concrete basis. This mechanistic principle is not only applied to human or animal bodies but also plants. Thus, he embarked upon a quest to engage in a scientific enquiry as contrary to his predecessors. He also changed the scholastic explanation of substantial forms in physics by his mechanistic philosophy. His major contribution lies in bringing forth coordinate system that also bears his name. This Cartesian coordinate system tended to explain the algebraic equations through geometrical shapes. He “invented the convention of representing unknowns in equations by x, y and z”. It was his work of calculus that was later used by Newton thus evolving a new branch of mathematics. Besides that, he also invented rule of signs to establish the positive and negative roots of polynomial. He attempted to construct a system of knowledge based upon rationalization and logical deduction by negating the principle of perception. He believed that reason is the only way to attain higher knowledge. In optics, he also discovered laws of reflection and refraction. Rene Descartes also advanced his views on motion of objects in his treatise “Principles of Philosophy”. His ideas influenced later philosophers like Hobbes, Pascal, Locke and Kant. He died in 1650 in Stockholm, Sweden.